Michael and Alexandria have a life time history in agricultural farming and draw on over 20 years experience in the Turf industry, theirs has been an inspiring journey full of life's challenges which has only strengthened their resolve to make Green Life Turf a major impact in the turf industry. Winning the 2013 Australian Achiever Award for customer service. We're committed to providing you with excellent customer service and satisfaction when it comes to selecting and installing the right turf for your needs. Our wonderful team here at Green Life Turf are here to ensure you get the best from your lawn and we're proud to say we've won awards commending our level of customer service and satisfaction. We guarantee the highest quality, weed free lawn turf. We at Green Life Turf are here to help you throughout each step of the way with comprehensive information on preparing your area for turfing, right through to laying your new lawn and also how to care for it. We believe in personal and professional service and are dedicated to best serving your needs. Our after sales service is here for your assurance and we welcome the opportunity to be of help to you before and after your purchase. To help you further we also offer a Preparation & Laying service for your convenience, simply call us on 1300 747 925 to speak with our friendly customer service. Today, more and more households and commercial firms in Sydney consider turf as a lush outdoor carpet for their properties. But aside from the fact that turf improves overall appeal to your home, it also produces a number of great environmental benefits. Because of several uses, demand for turf supplies in Sydney is tremendously increasing. First, turf supplies in Sydney are much sought after because lawn helps in improving business and economic value of a property. Studies show that lawn significantly increases property value in as much as 15 to 20 percent. Many real estate agents prove that properties accentuated with lawn landscapes are sold more rapidly. Second reason why turf supplies in Sydney are in demand is primarily because turf serves as a natural air-conditioner. The difference in temperature is made more obvious on a hot day. Turf regulates the heat for as much as 70 tons of air conditioning, that is precisely enough to provide cool air to 16 average homes. Another environmental benefit of turf is that it acts as a dust filter, significantly trapping dust and smoke particles. A lot of people are looking for turf supplies, particularly Sydney regions where there is a large increase in the volume of cars and trucks that release contaminated smoke. Finally, there is an increasing demand for turf supplies in Sydney because it is proven to control erosion. Grass intercepts raindrops and moderates its impact on the soil. This turf function streamlines the ability of drainage infrastructures. With these proven benefits from turf, it is no doubt that the turf supplies industries are growing significantly in Sydney. 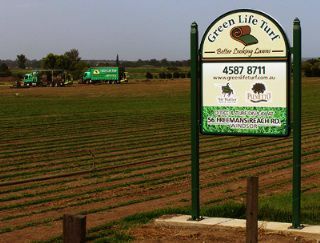 And when it comes to trusted provider of turf supplies in Sydney, Green Life Turf reserves the top spot. Recently announced as the winner of the 2013 Australian Achiever Award for NSW's Landscape, Nursery and Garden Services and Supplies Category, Green Life Turf continues to be the number one choice of customers not only in turf supplies but as well as other gardening and installation service in Sydney. 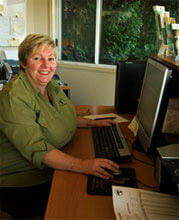 Call us now at 1300 747 925 and we'll be more than glad to hear about your turf supplies needs.